What do you call cheese that’s not yours? NACHO CHEESE!! It’s a few days late, but this is the night that our son has been waiting for. OSU played Virginia Tech Monday night (which aired here Tuesday morning). He was so excited to watch the game after school yesterday but decided he couldn’t watch the game without his dad (who was on a business trip). I promised him if he could wait until tonight, I would reward him with Nacho Cheese Dip and Chips for dinner. In the USA you probably take Nacho Cheese for granted. Any Mexican restaurant or Sports Bar is sure to offer a piping hot bowlful of cheesy goodness and crispy chips that taste oh so good! Perhaps, you’re one of those people who prefer store-bought jars of Tostito Nacho Cheese from Target, even going so far as putting it in a pretty bowl surrounded by Tostito Chips. Better yet, maybe you make your own Nacho Cheese Dip. It’s not hard at all. One of those “Idiot-proof” recipes. All it needs is Velveeta melted down to velvety goodness. BUT here lies the problem… We’re in China my good friends and Velveety DOES NOT exist!! Take a deep breath. It’s going to be okay. A funny story. It was my first few days in Nuremberg and I wanted to buy American cheese. I looked high and low on every refrigerator shelf in the store. It was no where to be found. I resorted to asking a shelf stocker and she took me pointed to a shelf next to the refrigerator. I asked her why it wasn’t in the fridge. She just smirked and said, it wasn’t real cheese. WHAAAAAT??!! I was flabbergasted by her response. It hurt deep inside to know that she was right. American cheese is pretend cheese. 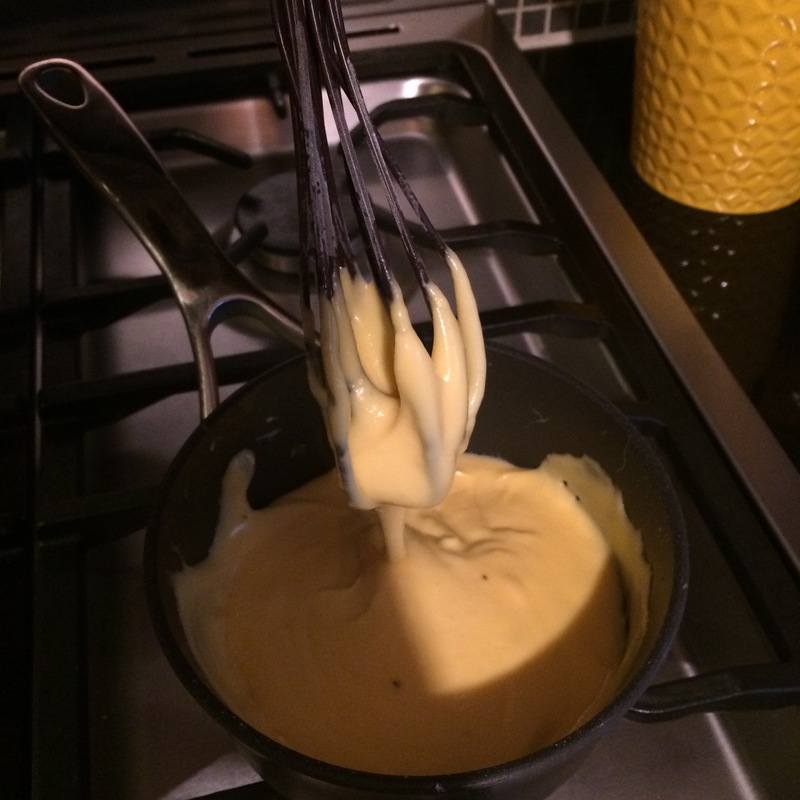 Part of my Recipe Nomad experience was to find a Nacho Cheese recipe that didn’t call for Velveeta. It took a while, but in the end I was pretty happy with the recipe. Heat the milk in a large saucepan over medium heat until you see bubbled forming on the top. Meanwhile, melt the butter in another saucepan over medium heat. Sprinkle the flour over the top, stirring constantly until a thick paste forms, 1 to 2 minutes. Slowly add the warm milk to the flour and butter paste in a steady stream, whisking constantly. Continue cooking, whisking constantly until the mixture thickens, about 5 minutes. It should be thick but still pourable. Add the cheese, whisking constantly until it is melted. Add the hot sauce and cayenne (smoked paprika). Taste, then add salt and pepper to taste. Add more cayenne and/or hot sauce if preferred. The sauce will thicken upon cooling. Store leftovers covered tightly in the refrigerator. Heat over stovetop or in the microwave before serving again. Here’s what the sauce looked like when it was done. It was a bit thicker than I hoped for. My kids said it was a yummy substitute but wished it was more “GOOEY” and less “CREAMY.” Fair enough. Next time, I’ll add more milk and cheese and just a bit less flour. I will admit, as nice as this recipe was it was missing that Liquid Gold taste that screams NACHO CHEESE! I will make this again, but maybe next time I’ll add a cup of salsa just to give it that bite it needed. Any other ideas on how to get that Velveeta flavor without using pasteurized cheese product, including American Cheese?